Taste the tipycal Tuscan recipes and the original Florentine beefsteak in the heart of downtown Florence, a few steps from the Cathedral and the famous market of San Lorenzo, in the Medicean San Lorenzo district, cradle of the Florence Renaissance. 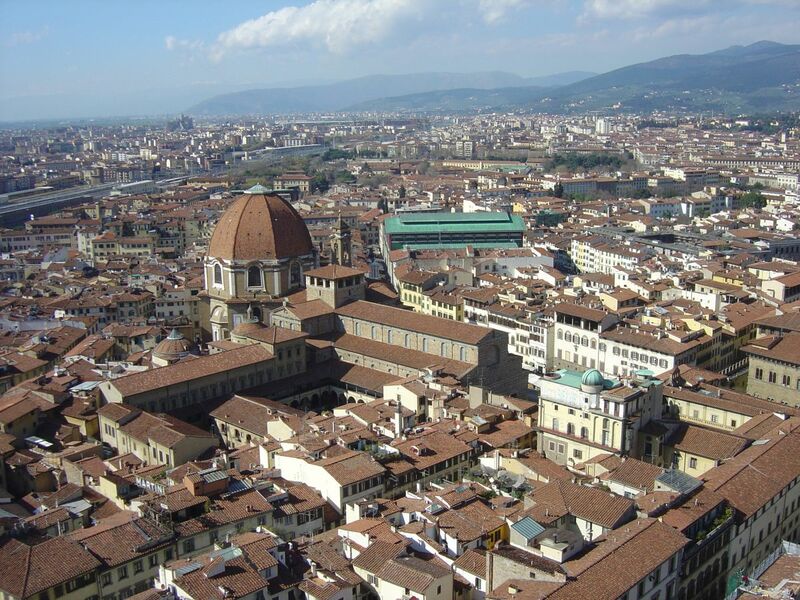 The restaurant is located just 50 meters from the Duomo Square and 400 meters away from Santa Maria Novella central train station, so you can easily get to Giannino in San Lorenzo by foot while strolling through the monuments of Florence center. The direction from the train station is that one you have to follow as walking for the Duomo, follow Via Panzani and Via Cerretani you should arrive after 10 minutes in front of the Baptistery, on your left there is a Pharmacy with green cross outside: that is the corner with Via Borgo San Lorenzo and the numbers 33/35/37r are after 100 meters, on your left; you will find Giannino's Restaurant windows. The restaurant is in a pedestrian street, so you can't drive or park directly in that area. The closest area that you can reach and leave your car is Garage Sant'Orsola, in Via Sant'Orsola.